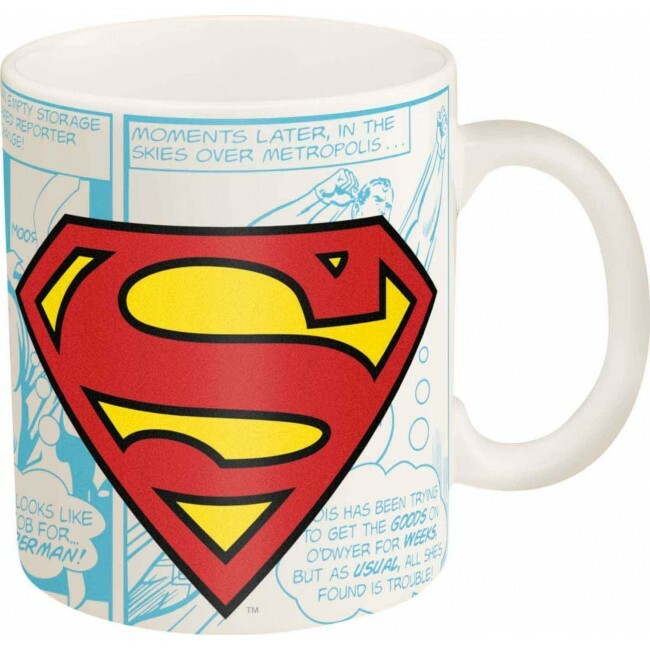 Don't let the morning be your kryptonite; get it started right with this ceramic Superman mug! Slow mornings will be swept away by the fun and action-packed full surface artwork. This coffee mug is perfect for your favorite hot beverage, like coffee, tea, cocoa, or even soup. It also makes a great gift - fans will love the design of this attractive and functional mug. Made of ceramic, it has a sturdy, comfortable weight and holds heat well. And because safety is important, this mug is dishwasher safe, microwave safe, and completely BPA free.